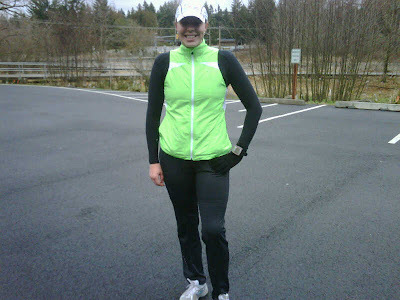 The majority of my long runs in 2010 were done on a FLAT trail in Orting. 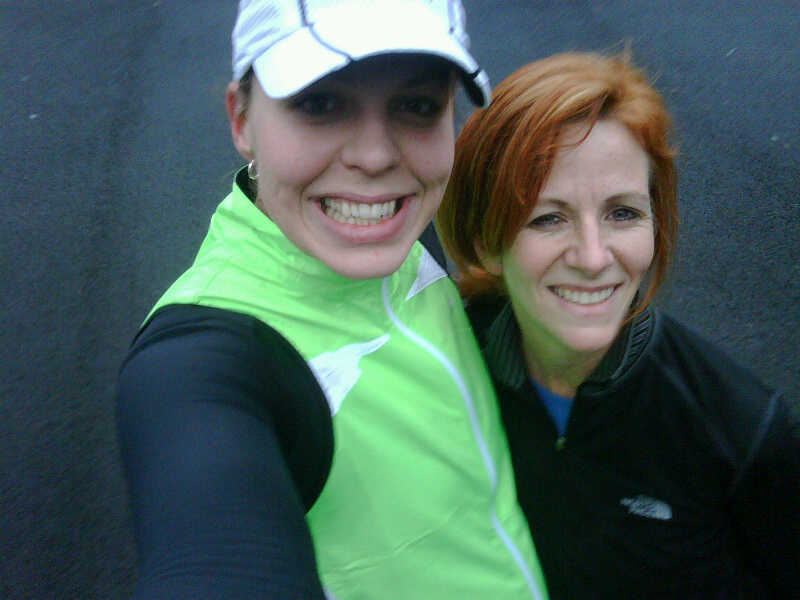 I ran once last year with Zoe on the Soos Creek trail. I remember there was a KILLER hill just before we ended the run, but overall I thought the run was manageable. So I convinced Tammy to go with me on a NEW trail.. The run was uneventful. 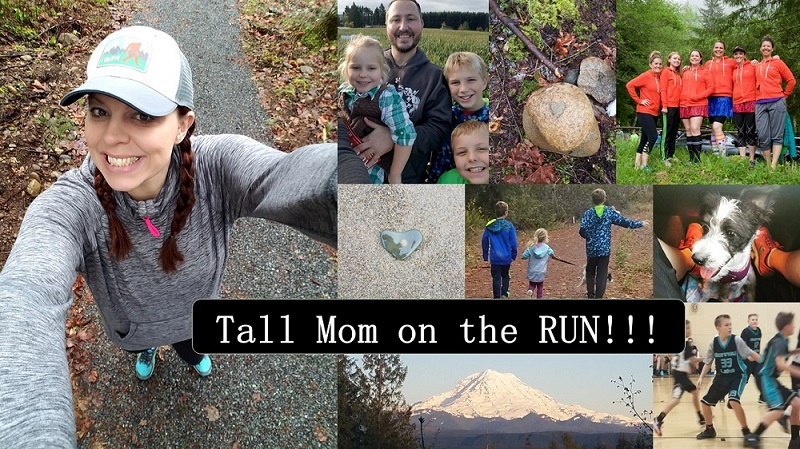 I love this time of year because there are "Newbies" on the trail, with fresh new workout clothes and SMILES.. You can see the hope and pride as they trek toward health and fitness. I HOPE that those people will still be on the trail a few weeks from now when the "New Year New You" attitude wears off.. It is ALL about making fitness a part of your life, after a couple months it WILL become a habit. Brooks Spartan II pants HERE w/ Moving comfort compression shorts under. 10 days into the new year.. How are you doing?? I'm good! 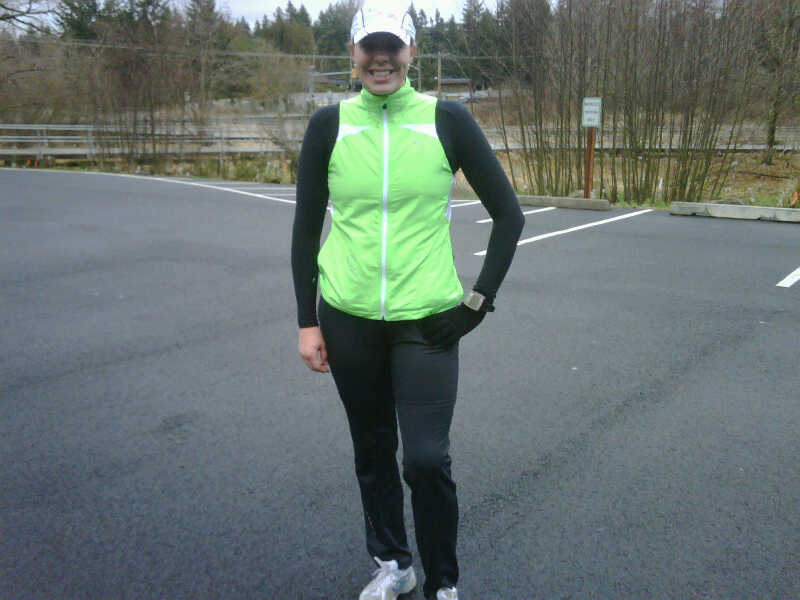 I had my second long run for my Eugene training on the weekend. 12 miles. It was pretty tough too. I could really feel the weight I've put on as well and need to shed it asap. went and got my spring marathon Brooks Adrenaline GTS 11's today! Hey, Mel? ...you've got this. I have no doubt you'll press on, and will be ready for Boston! Keep it up! Everything is going well with ultra training 10 days in! Loving it. I agree on the newbies. I'm always happy to see the gym packed, the organic foods picked over, and people out on the road, but I know in a month or two, it'll go back down to "normal." Smart lady working in hill training! We used to drive and park just before Heartbreak Hill and just run up and down....not fun! You are going to rock it though!!! Feeling pretty good just beat up from the half Saturday, but that is to be expected. I am with you hoping all of the newbies will be there a few weeks from now. Looking good out there! Awesome job putting in the run. Hope you and the boys are all feeling better soon!!! Cute pics! I just sent you a time sensitive email. Please keep an eye out for it. I like that you list what you're wearing, because for me figuring out what to wear in the cold is still a work in progress! So far, I'm 4/4 on my marathon training runs. This weekend's long run is looking hairy, though, so I'm going to need to figure something out. love all the brooks gear! i wear the adrenalines, too. although i think i like the 10s better than the 11s. I hurt this morning. My neck has been cramping up lately and I was sore from moving too much stuff on Sat. I went out anyway! I went about 1.5 min slower than my normal pace - but I was out there - and it did feel good when I was done! All the New Years Resolution people seemed to come out of the wood work and into my gym, of course, first snow of the year and they are no where to be found. I love Brooks!! I wear Adrenalines, too, and they are awesome :) Hope you little ones are feeling better and thart you don't get sick!! You are totally a Brooks ad! :) It's going to be a great year, isn't it? I love all the Jan Newbies too!!! When I worked at the Y it was always crazy this time of year. I hear a member complaoning once about "all the resolutoiners" and "give it a month and we'll have our gym back." It made me sad because for the most part he was right. Like you I hope all those new runners with their awesome, covetable new gear are still there in 6 months training for a race!! !